Happy Monday, marblelous babes! 💕 How was your Super Bowl Sunday? 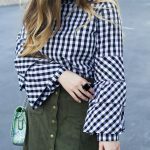 If I’m being completely honest, any form of sports bore me to death, so I spent my Sunday being SUPER productive – I cleaned out the kitchen cabinets, I meal prepped for the week, I edited blog pictures, and I scheduled this blog post! Yay for productivity! Have you heard of the botanical-based skin care brand, TriDerma? Two weeks ago, I had not! But boyyyy, this skin care brand has been such a life-changer. TriDerma offers AMAZING quality skin care products for various skin care concerns minus the abrasive chemicals. 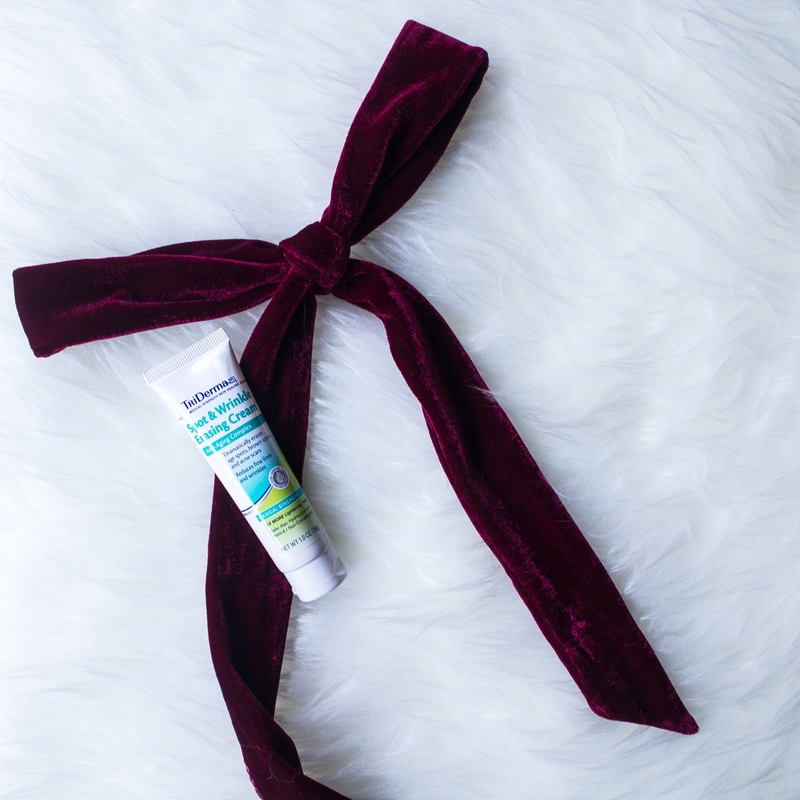 TriDerma’s Extra Pure Healing Gel is a multi-purpose gel that helps relieve sunburns, minor burns, itching, blemishes, or the side effects from waxing, laser or other cosmetic procedures. It can also be used as a makeup remover. I use this gel after epilating and absolutely LOVE the cooling sensation! It does a fantastic job in soothing my skin all while moisturizing my dry skin, too. I love that it doesn’t leave a greasy residue like a lot of moisturizers do! I also see myself using the Extra Pure Healing Gel throughout the summer to soothe my skin after being at the beach for an extended period of time. 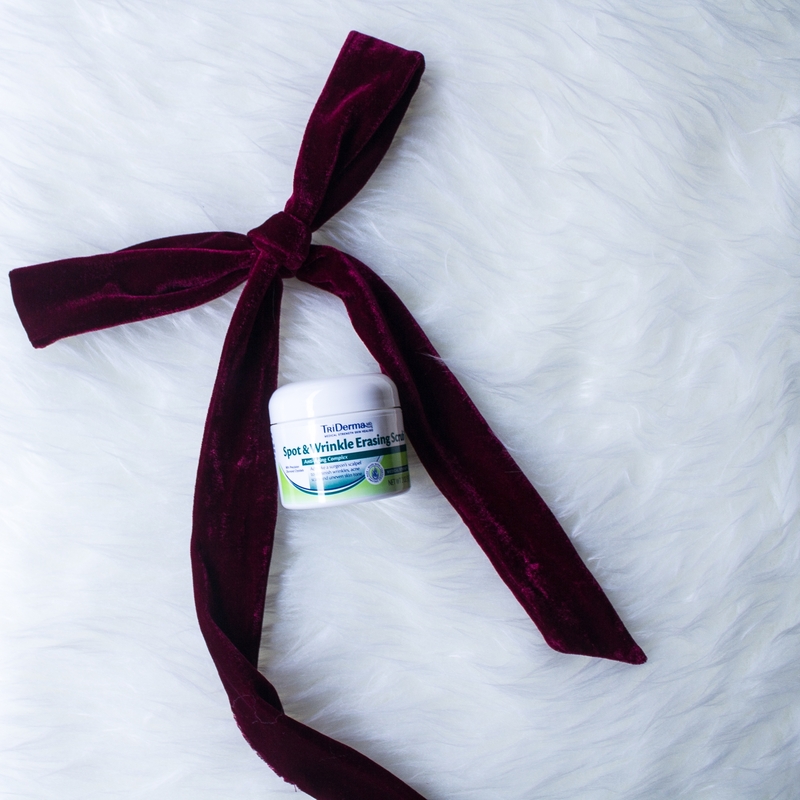 TriDerma’s Spot & Wrinkle Erasing Scrub contains Precision Diamond Cut Crystals that help stimulate collagen, diminish the appearance of fine lines, wrinkles, and acne scars, and correct uneven skin tone. It can be used on the face, hands, chest, and back. This isn’t your typical exfoliator, a little goes a longggg way for this exfoliating scrub. The Precision Diamond Cut Crystals really exfoliates your skin thoroughly. Almost too thoroughly, I might add. If you have sensitive skin, this scrub might not be for you. I found it to be a little too rough for my skin so I tried to exfoliate as gently as I could. It did leave my face feeling extra soft like a baby’s bottom, though! TriDerma’s Spot & Wrinkle Erasing Cream helps to erase the look of age spots, brown spots, and acne scars all while reducing appearance of fine lines and wrinkles. It is non-greasy and fragrance free. I love how quickly this lightweight cream absorbs onto my skin without leaving a tacky residue. After using this cream for a week, my face looks noticeably brighter and clearer. TriDerma’s Pore Reducing Anti-Age Serum works as a primer and helps reduce the appearance of pores as well as absorbs and controls excess oil throughout the day. Holy cow, this serum is AHMAZING!! If you have visibly large pores and imperfections, you seriously need to get your hands on this miracle in a tube stat! It diminishes my large pores so much that I swear I have a photoshopped face, HA! I also noticed that my pores and skin look WAY better with this serum! TriDerma’s Psoriasis Control Shampoo helps promote fast healing for red, scaly scalp, white dead skin cell build-up, extreme dryness and itching due to Psoriasis conditions. It is also safe to use on color-treated hair. 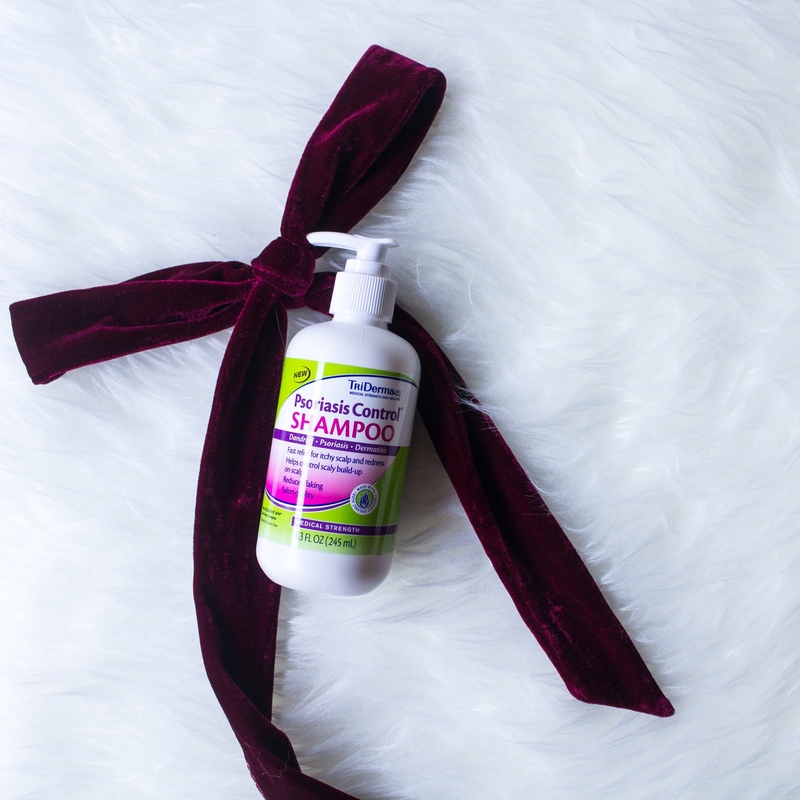 I’ve been suffering from scalp Psoriasis since forever, and I’m SO glad that I finally found a shampoo to help combat and ease the pain and inflammation. I’ve used this shampoo three times now and my scalp has stopped stinging! It is also noticeably less flaky and scaly! YAY! 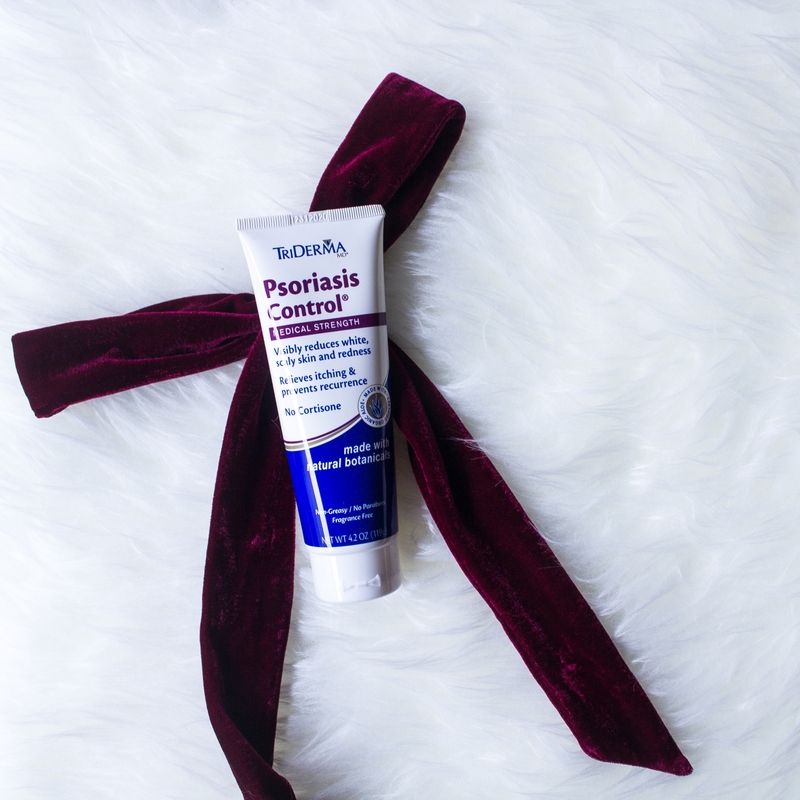 TriDerma’s Psoriasis Control is non-greasy and helps promote fast healing for red, flaky, scaly skin, white dead skin cell build-up, extreme dryness and itching. I love that is gentle enough to be used on my scalp, which sometimes is SO inflamed that it stings SO much when I shampoo my hair! This cream provides immediate relief for my scalp and I’ve noticed my Psoriasis reducing significantly with each use. You guys have NO idea how excited I am that I found TriDerma’s Psoriasis Control! I’ve been suffering from Psoriasis for SO long and nothing seemed to have helped and worked until now, thank you Jesus! If I had to pick my favorite product from this TriDerma haul, it would be this because it’s such a lifesaver! 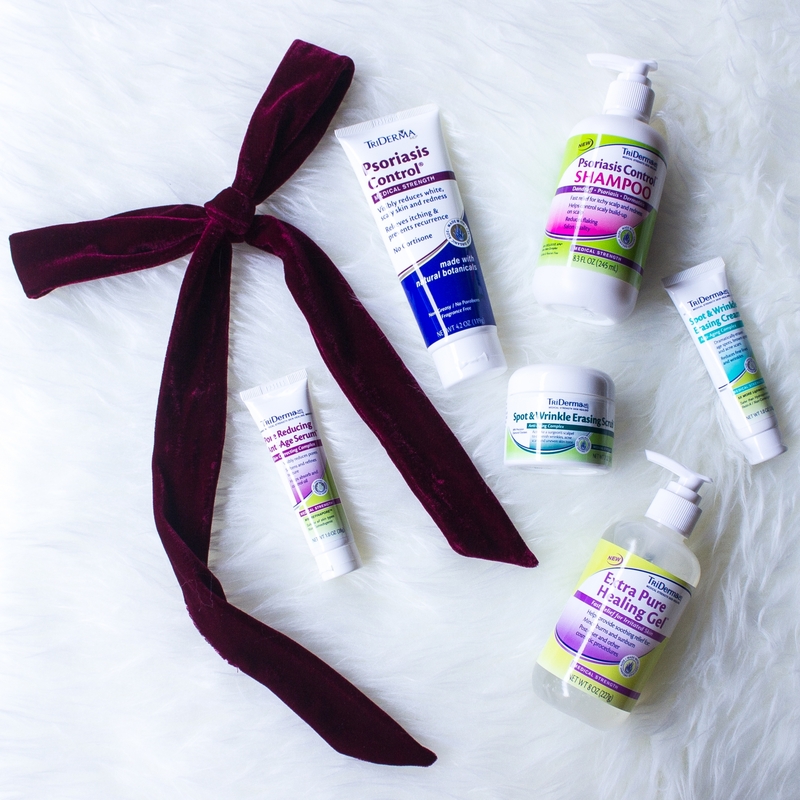 What do you think about these botanical-based skin care products from TriDerma? I love how effective but yet affordable these products are! They can also be found at your local Walmart, Target, or Walgreens! Disclosure: I was not compensated for this post; however, I did receive these products from TriDerma for my review. All opinions are my own and not influenced in any way. I am always looking for new skincare products, and I appreciate that it is fragrance free! I love trying new skin care! Will definitely have to check them out! I’m especially looking at that pore reducing one! The healing gel and wrinkle erasing cream both sound amazing! I’m on the look out for an eye cream, I’ll definitely check these out! Love that it’s fragrance free! I have irritable skin so this is perfect! I’ve always been curious. Will have to check it out! I really want to improve the quality of my skin, I’ll have to try these out! I haven’t heard of this company, but their products look amazing! And I’m with you- not a big sports girl haha. Loved the review here. WOuld love to see before and after photos of the line and pore treatments.